Choosing what boats to use for training is not a simple choice. ASA and Beneteau have joined forces to design what they think is the perfect training boat. Steve Colgate designed the Colgate 26 specifically for teaching sailing. J World uses J-22’s. These are all good boats for teaching sailing. Our mission is to teach cruising and not the performance side of sailing. We feel those training boats have a downside of a sensitive helm, too tender, and too lively a motion. As we are a cruising school we want to teach on cruising boats. For ASA 101 (Beginning Sailing) we use either a Pearson 303 or a Lippincott 30, both of which are solid boats with wheel steering, inboard engine, and good instrumentation including wind direction. We want you to start on a small cruising boat to lessen the learning curve to get you cruising faster. For ASA 103 (Beginning Cruising) we use the same boats as 101 so there is no momentum lost in transitioning to another boat. These boats are excellent for teaching docking, and docking makes up a big piece of the cruising course curriculum; as well as anchoring, navigating, and more sailing. Any school that teaches 103 using an outboard powered boat is doing you a disservice. For ASA 104 (Intermediate Cruising) we move up to a larger and more challenging boat. 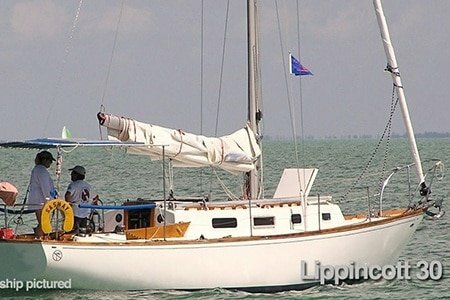 Here, we use a 35’ – 40’ cruising boat for the course. 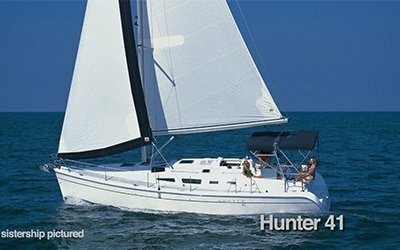 We have a variety of boats we use including an Island Packet, Hunter, Cape Dory, and others. For half of our students, 104 is as far as they go. 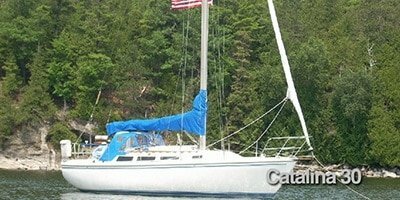 At that point hey have their internationally recognized bareboat captain certification; and they can then either join a fractional ownership opportunity or, purchase a boat, or rent a charter boat. 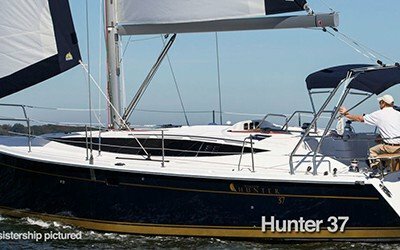 So our boats are each part of an integrated system so you will come away with a well-rounded body of knowledge about different boats, different sail combinations, and the advantages and disadvantages of each. This is all part of our system to bring a new sailor up through the ranks so they can make an intelligent decision of what type boat makes the most sense for them.